Despite the storms, some eaglets made it through safely. An adult feeds a single eaglet in a nest at Curles Neck Swamp along the James River. For the Northeast coast, the winter of 2017-2018 went out with a dramatic train of powerful storms during an intense two-week period in early March. The trio of storms in quick succession included Winter Storm Riley, Winter Storm Quinn, and Winter Storm Skylar. The storms killed several people, knocked out power for millions, and frustrated travelers throughout the Washington D. C. to Boston corridor. 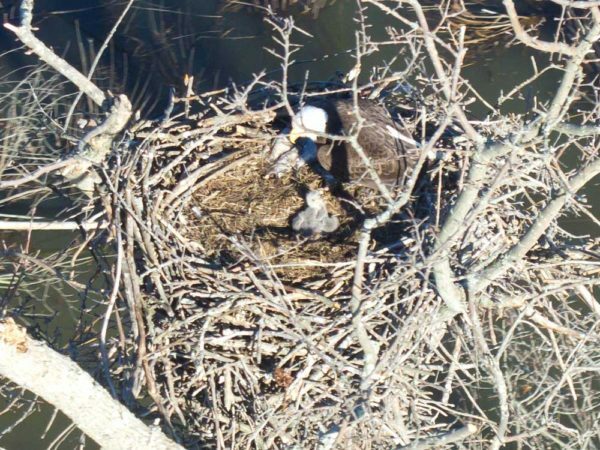 For eagles in the Chesapeake Bay, the timing could not have been much worse. 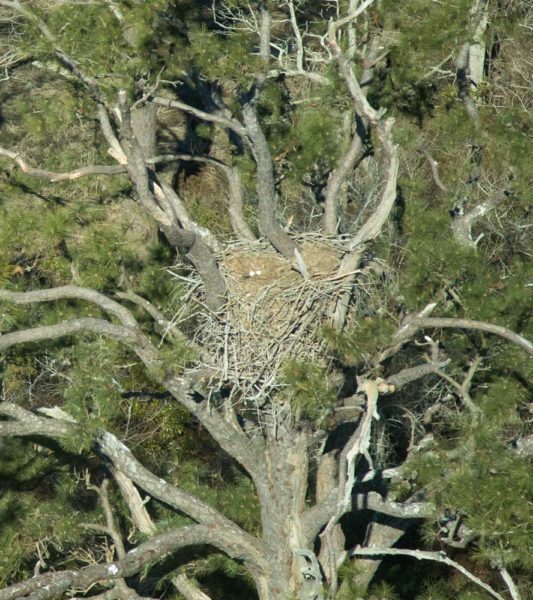 Early March is late in the incubation period and the window when most eaglets hatch in the region. Eaglets are most vulnerable to cold and wet conditions within the first two weeks after hatching. It would have been extremely difficult for adults to manage a clutch or young brood during torrential rains and 60 mph winds. A clutch of abandoned eggs in eagle nests on Gray’s Creek off the James River. Ten abandoned clutches were documented along the River. Photo by Bryan Watts. 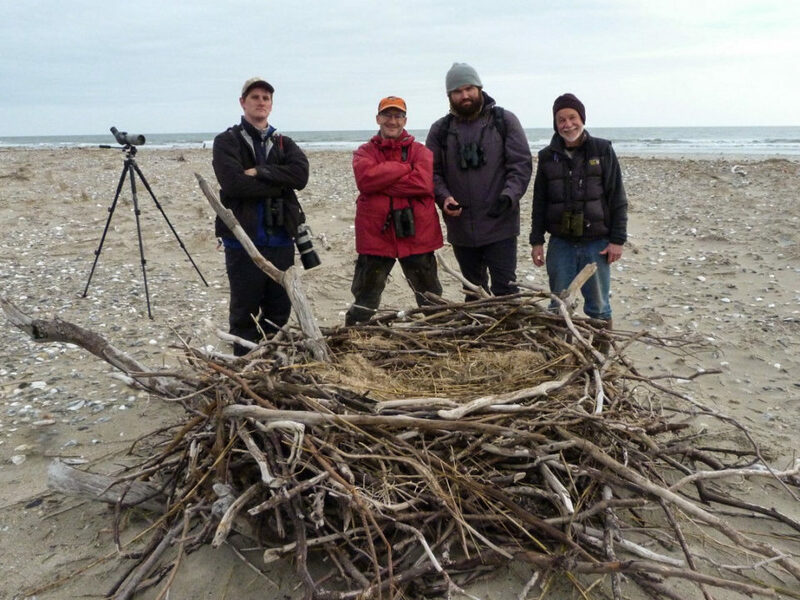 Following the Nor’easters, CCB biologists had the opportunity to fly and examine more than 300 nests along the James River. The storms had a clear impact on many breeding pairs. 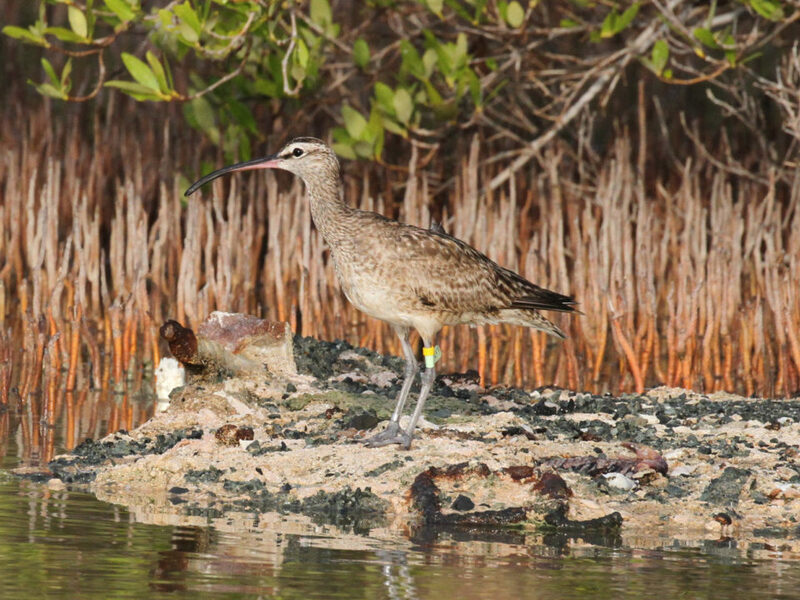 Nearly 25% of active nests (N = 280) had failed their first breeding attempts. This early loss rate is a multiple of that observed during most years. One of the most telling indicators of how pairs struggled with the storms was the observation of ten abandoned clutches. Although abandoned eggs are observed every year, they are relatively rare. 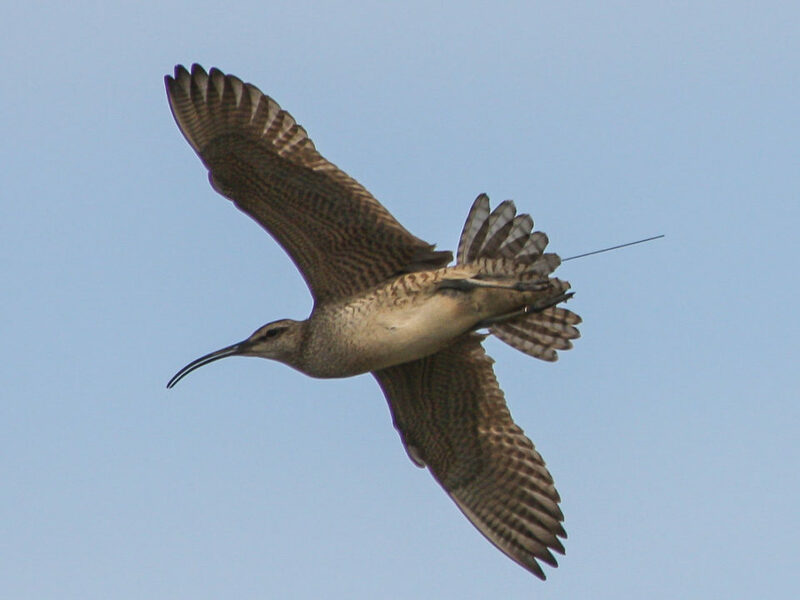 CCB will fly a productivity flight in late April to record young in the nest and see how many of the failed pairs will recycle and make a second breeding attempt. 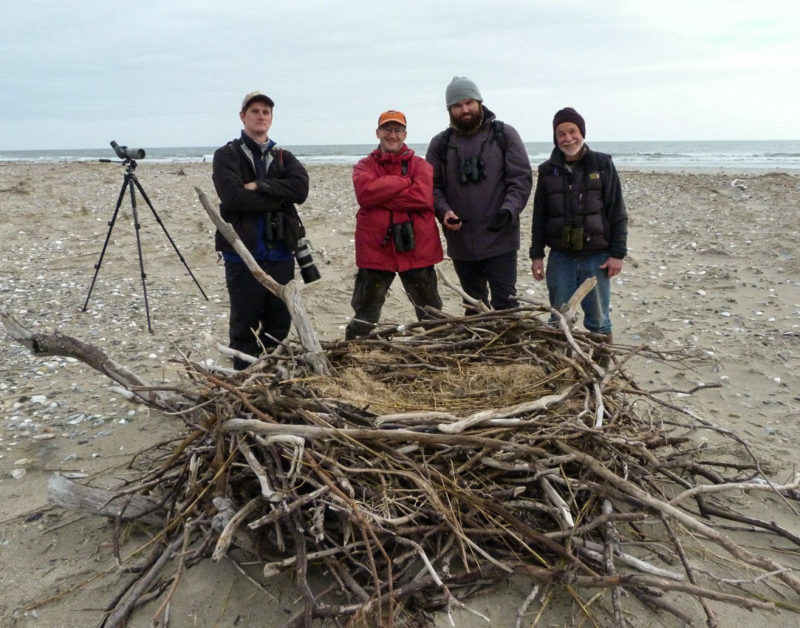 CCB has examined the impact of high winds on eagle nests in the past following Hurricanes Isabel and Irene. In 2007, Bryan Watts and Mitchell Byrd published a paper titled, “Impact of Hurricane Isabel on bald eagle nests and reproductive performance in the lower Chesapeake Bay.” The paper documented that 40% of nests were damaged or lost during Hurricane Isabel and that pairs losing nests were both less likely to breed and less productive the following spring. 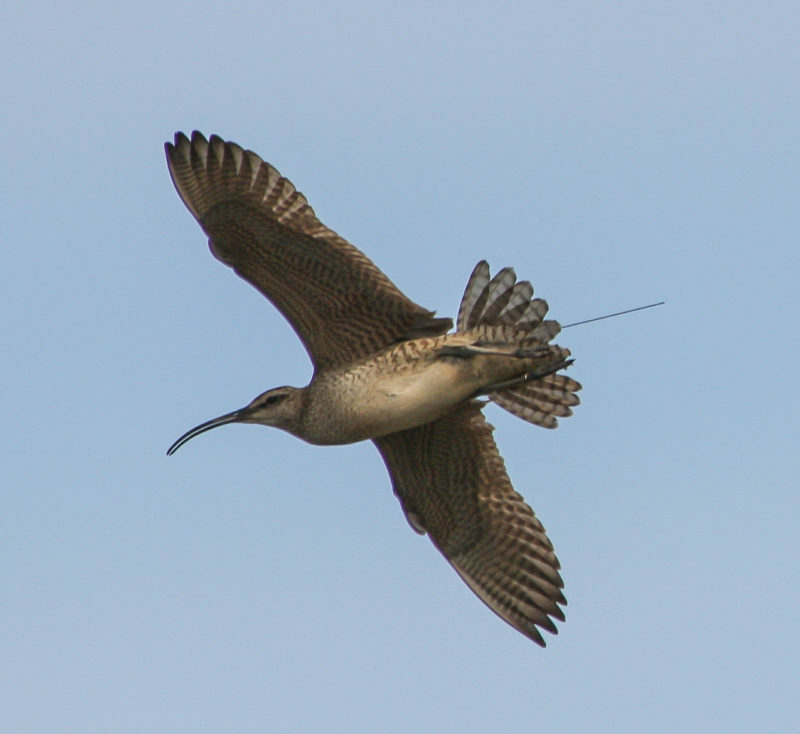 Productivity for these pairs improved two years following the storm and was back to normal levels during the third breeding season. A similar rate of nest damage was documented following Hurricane Irene. Despite the storms, some eaglets made it through safely. An adult feeds a single eaglet in a nest at Curles Neck Swamp along the James River. Photo by Bryan Watts. Despite the sustained high winds, the impact of the Nor’easters on the eagles was different than the hurricanes examined. 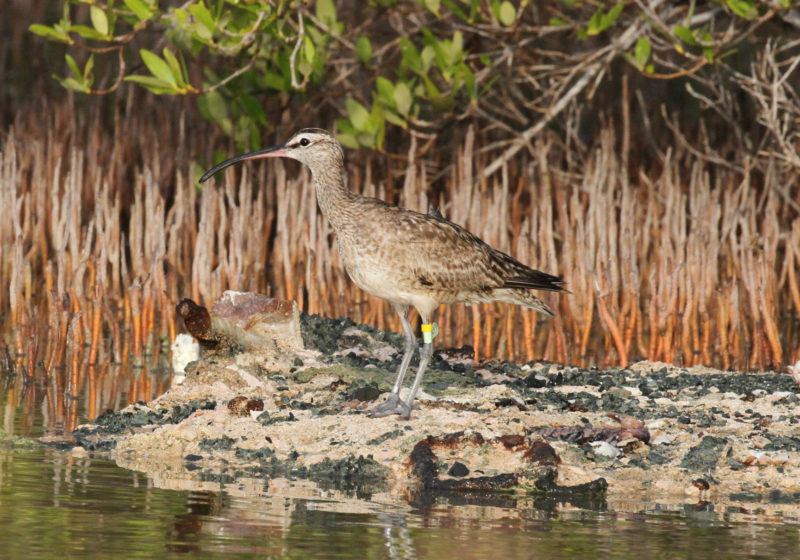 Only four nests that appeared to have been active were damaged or lost compared to 40% during the two hurricanes. The impact of the storms was on the loss of eggs or young and this is likely the consequence of timing. Even though many nests appear to have been disrupted by the storms, many broods of small young made it through the storm intact.